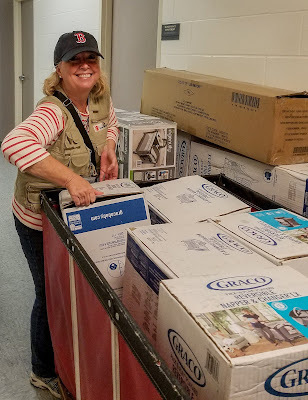 Medical Officer at Shelter Site: "We had more than 20 babies sleeping in cardboard boxes last night"
As hundreds of displaced families, including many with infants and toddlers, continue to arrive in San Antonio each day seeking refuge from Hurricane Harvey's catastrophic flooding, Save the Children has moved quickly to provide the city's shelters with the necessary equipment and services to keep children safe. 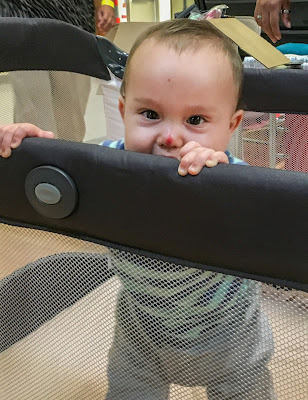 "Yesterday, in San Antonio's largest operating shelter, with nearly 1,000 people, more than 20 infants and toddlers spent the night sleeping in card board boxes, and many more toddlers slept on military cots from which they could easily slip off and hurt themselves. Parents also expressed concern they had no way to bathe their babies," said Jeanne-Aimee De Marrais, Save the Children's senior director of U.S. emergencies, who is leading the agency's response in Texas. "In one case, a nine-month-old boy slipped off his cot and cut his nose," said De Marrais. "In another case, a grandmother told me she had not been able to bathe her two-month-old grandchild in nearly a week. We quickly brought in portable pack-and-play cribs, umbrella strollers and hygiene kits with plastic water basins to help parents keep their children safe and comfortable." Added De Marrais: "San Antonio has become ground zero for evacuees, providing beds for up to 6,000 people. The city has done a great job mobilizing support so quickly in the early stages of a major response like this, but we are finding that the basic needs of mothers and small children in shelters are getting overlooked. Cardboard boxes for infants to sleep in are not enough. We can do much better, and we are here to make it happen." De Marrais praised the strength and independence of many families she met in San Antonio's shelters. 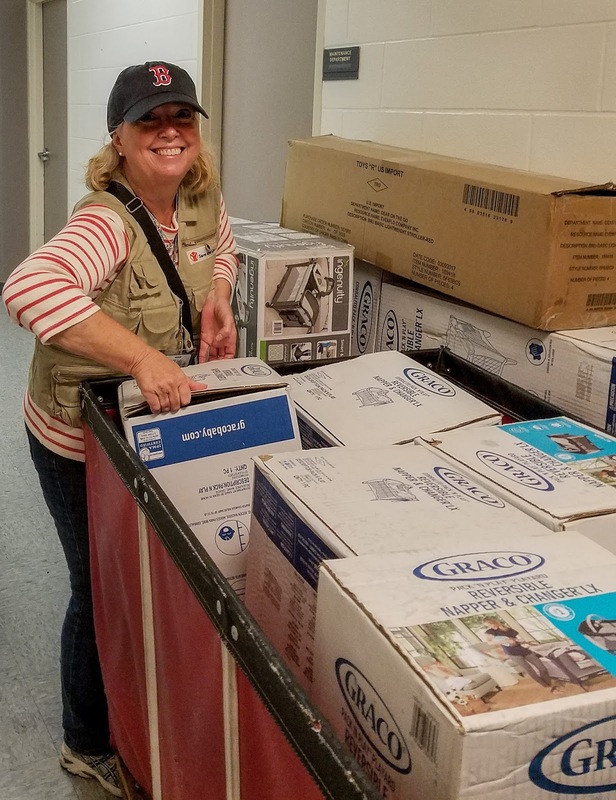 One father, shortly after learning that his family's mobile home in Rockport had been totally destroyed by the hurricane, welled up with tears of thanks when the Save the Children team provided materials for the couple's two young children. "Hurricane Harvey has been a humbling experience," he said. Save the Children plans to expand its efforts to address the needs of families in Texas shelters as it launches efforts to assist shelters outside the San Antonio area. In addition, the agency will soon begin setting up Child Friendly Spaces in major shelters. 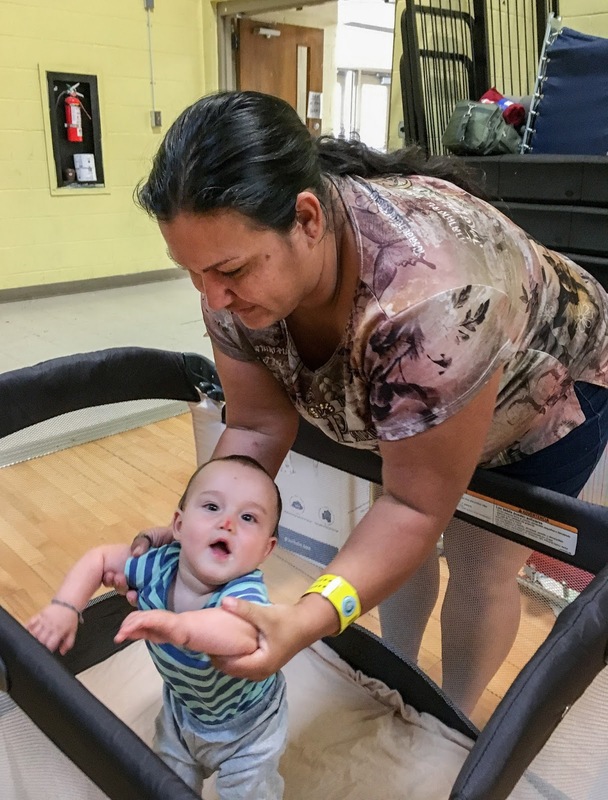 These spaces are safe, well-supervised areas within shelters where children can play, socialize and begin to recover from the disaster, while allowing their parents to concentrate on addressing the family's immediate and longer-term needs. In the coming days, Save the Children also plans to provide support to child care and early education programs damaged or destroyed by the storm. Save the Children gives children in the United States and around the world a healthy start, the opportunity to learn and protection from harm. We invest in childhood — every day, in times of crisis and for our future. Follow them on Twitter and Facebook.